Maptek Vulcan 8.2.1 came out this week. According to the release notes, Maptek Vulcan 8.2.1 includes 45 upgrades and 49 bug fixes. In addition to these changes there were another 8 fixes to Chronos that didn't get included with the release notes (bugs in the bug reporting?). The release notes for Vulcan 8.2.1 can be found in the MaptekUsers’ Area which you will need a password to access or in the Vulcan help under Release Notes > Vulcan 8.2 > Vulcan 8.2.1 which you will have access to after you have installed the upgrade. I don’t know why Maptek doesn't want to make this list public. Help > About Vulcan 3D Software – This panel now includes the license and dongle expiration dates. No more wondering if your maintenance is current enough to install the latest service pack (if it isn’t the new service pack won’t work and you get to uninstall Vulcan and re-install the software in order to get back to a version that works for you). Block > Advanced Reserves > Advanced Reserves Editor – The error where you were always asked to save before running has been fixed. This bug was introduced in Vulcan 8.2.0 and has been a huge problem for me. The bug would pop up the ‘do you want to save changes’ prompt every time you ran the calculate option. This would happen even if you had just saved your changes or if you hadn't made changes at all and just wanted to run reserves with the existing spec file. You have no idea how much this annoyed me. Model > Triangle Edit > Snap Vertices – The release notes claim to have fixed the incomplete path names in this panel but I don’t know what really happened. I didn't see any problem with the option in Vulcan 8.2.0. I did notice that the panel was strangely misshapen in 8.2.1. I’m not sure how you mess up a standard panel like triangle properties but Maptek seems to have pulled it off. This broken panel appears elsewhere in the software. Open Pit > Open Cut Design > Project String – This upgrade has added a check box that will prompt for the direction of projection. Previously in Vulcan, all pit designs required the user to maintain clockwise polygons. All dump designs needed to be counterclockwise. This requirement can be difficult to learn and is tedious to maintain. The new option allows the user to specify, on screen, if the projection should go outside or inside the existing polygon. The effect is almost like the option Design > Object Edit > Offset. In the release notes this has been mislabeled as a Pit Topography option. 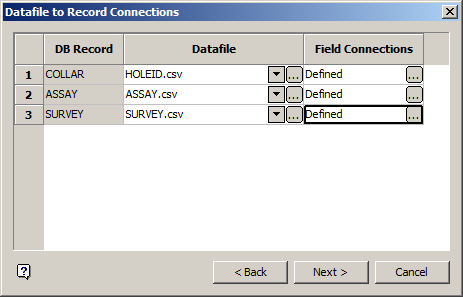 File > Plot > Batch Plotting – The maximum number of flex section points has been increased to 1,000. The flex section gives a plot along a digitized line at each segment along the line. This is a huge improvement because the previous limit was really small (I want to say 20 points). The severe restriction on the number of flex section points was partially responsible for the development of the Model > Triangle Utility > Section by Line option. File > Plot > Batch Plotting – The limit on the number of triangulations for use in batch plotting has been removed. I don’t know what the previous restriction was but I’m not completely sure I believe that it is truly unlimited even now. Model – Maximum number of loaded triangulations has been raised to 25,000 from the previous 8,000. I have to admit that I didn't know there was an 8,000 triangulation restriction in Envisage. Apparently I have never tried to load 8,000 triangulations at the same time. I appreciate that Maptek has given a maximum number of triangulations instead of claiming that it is unlimited. Model > Triangle Utility > Section by Line – Based on the description given to this option in the release notes you might think that it is a new option. This is not the case. 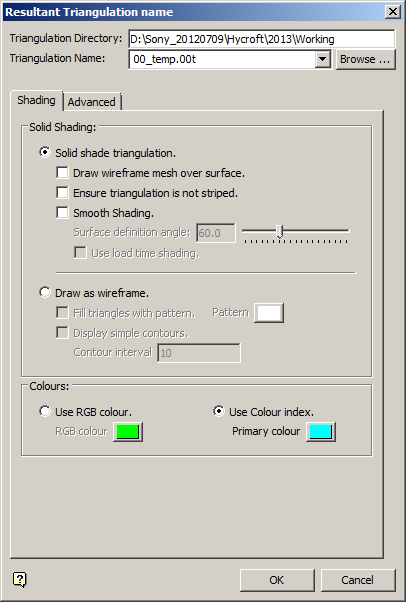 The Section by Line option first appeared in Maptek Vulcan 8.0.0 while I was still working for Maptek. What they mean to say with this entry is that you can now use multiple triangulations with the Section by Line tool. Model > Triangle Surface > Polygon Volumes – Release notes claim that an unlimited number of polygons can now be used with this option. I am always skeptical when the term ‘unlimited’ is used and am disappointed that a previous limit is not stated. Chronos > Files > Open Workbook – Maptek claims that their Chronos scheduling tool will now allow spaces and special characters in the path name to workbook files. This is great for people who want to use Windows standards to name their files. I have found that in Vulcan, spaces in file and path names often come back to bite the user. This always happens at inconvenient times and the fix is changing the file name and renaming every reference to the file. Don’t get me wrong, I thing that spaces in path names should be allowed but my advice to everyone is always to avoid them and use underscores instead. So there they are, my highlights from Maptek Vulcan 8.2.1. There are a total of 102 bugs and upgrades that say you should upgrade to the new version of Vulcan. One of the biggest questions people have about service packs like this is why they should install them. People ask me, "If the version of Vulcan that I am currently running is working fine for the tasks I do, why should I take the time and effort to install a service pack?" This question is exacerbated by the fact that everyone on the Maptek payroll refuses to admit that there are bugs in their software even though bug fixes are one of the main reasons to release a service pack.